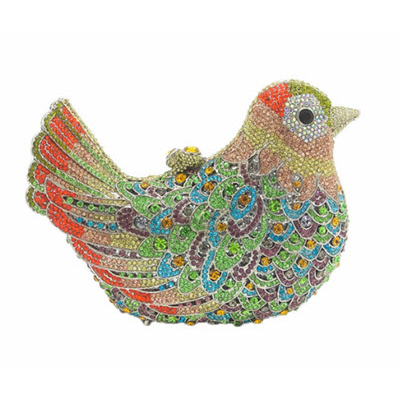 This Anthony David crystal clutch evening bag has a silver electroplated metal frame and is covered in multi-colored crystals. 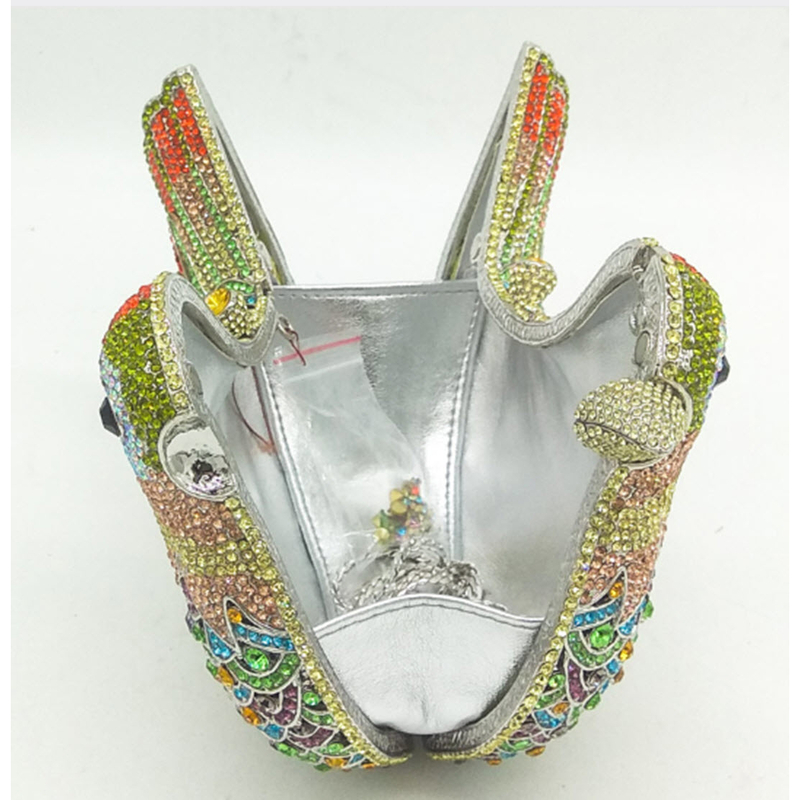 It has a cut-out metal design with crystals on both sides. The interior is lined in genuine leather and has a magnetic closure. You can carry this beautiful evening bag as a clutch purse or use the silver metal shoulder chain. 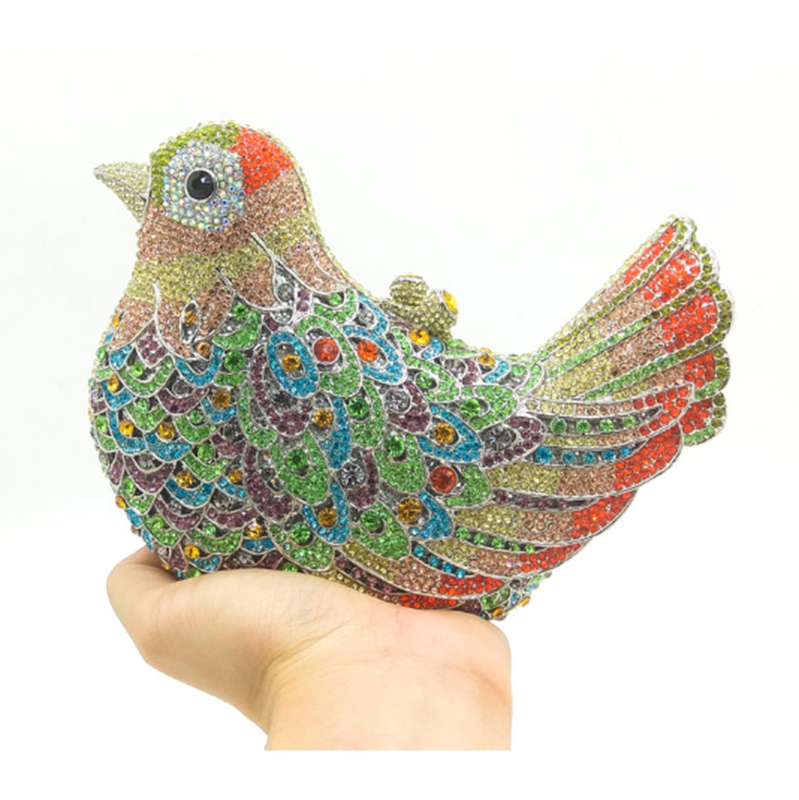 Fully covered with multi-colored crystals. Silver electroplated metal frame and chain. We carry crystal evening bags in other shapes and colors.